Apple have just declared Affinity Photo their App of the Year for 2017. 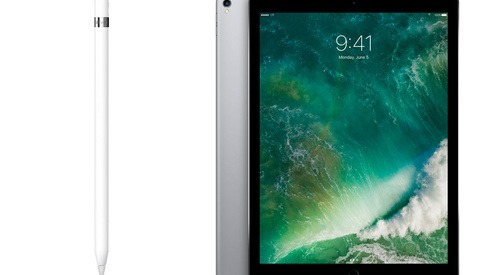 If you don't already own one of the compatible devices — iPad Air 2, iPad 2017, iPad Pro 9.7-inch, 10.5-inch, and 12.9-inch — but suspect that Santa might be delivering one to your stocking, you can buy the software now through the App Store and install it on Christmas morning. 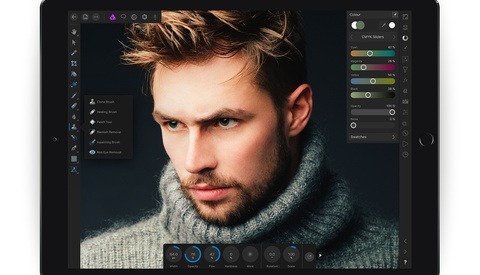 Announced as a comprehensive editing package that is comparable to desktop software, Affinity have incorporated a wide range of retouching tools. You can dodge, burn, clone, blemish, patch and treat red eye, as well as perform non-destructive editing using Levels, Curves, White Balance, HSL, Shadows and Highlights, and more. Affinity claims that their selection refinement algorithm is one of the best available, capable of identifying single strands of hair. 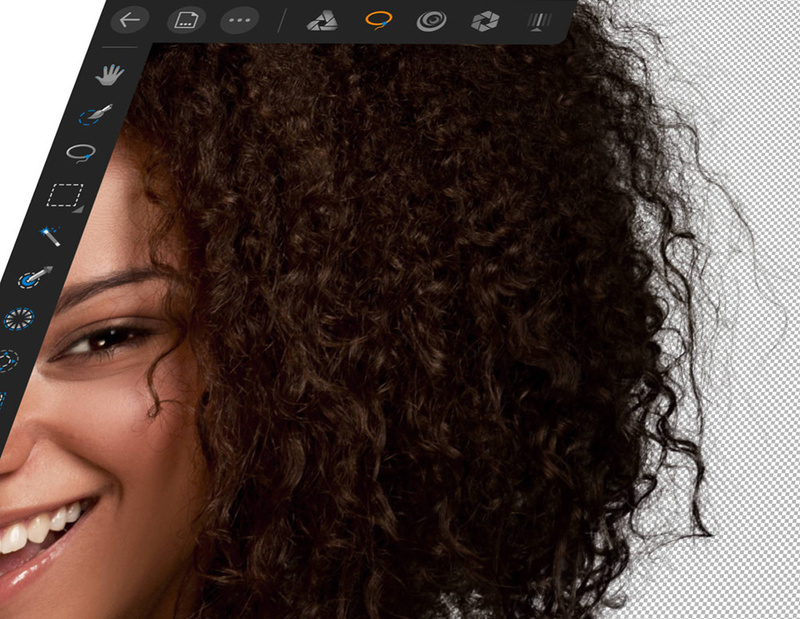 And for those concerned about Adobe compatibility, Affinity have ensured that they have "unrivalled PSD support" to go alongside all of the industry standard formats, allowing users to import, edit, and export Photoshop files without losing any adjustments. 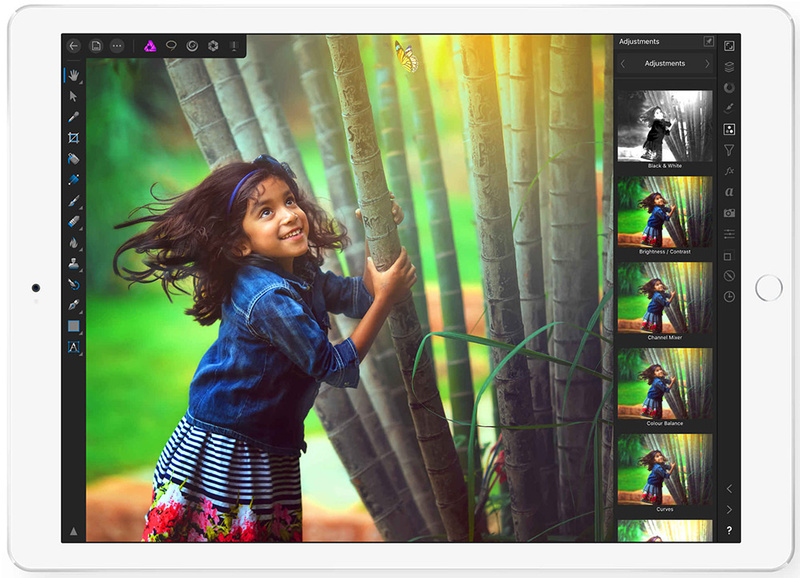 In September this year, Serif updated Affinity Photo for iPad to take advantage of the new features made available in iOS 11 and the new Files app for dragging and dropping images. 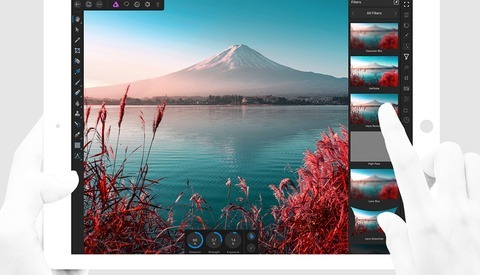 This means that workflows involving focus stacking, HDR, or creating panoramas are now even more streamlined. Had my eye on this software for a long time. Took advantage of this sale and has exceeded my expectations as far as functionality and speed on my iPad Air 2. Absolutely love it! I tried purchasing the app as suggested, through the App Store since I don't currently have a compatible iPad, but it just takes me to the iTunes preview page where you cannot purchase. 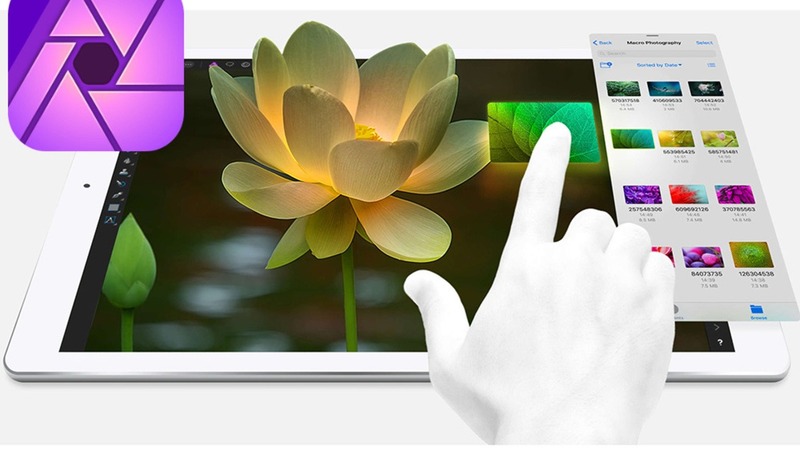 Visiting the Mac App Store only allows one to purchase the desktop version. Argh. Apologies. The reply from Affinity about this came a little late. You will have to borrow an iPad, log in to your Apple account, and make the purchase from there. Sorry for the confusion! As a work around for not having the right iPad. You can buy it as a gift for yourself. They email you a code and then you use the code on the right device. I bought it two weeks too early.